It is that time of year again when there feels like there is a new gallery opening every night of the week, even more so this year with the HeadOn and Reportage photo festivals being on at the same time. I almost won't have to buy a drink for a month! 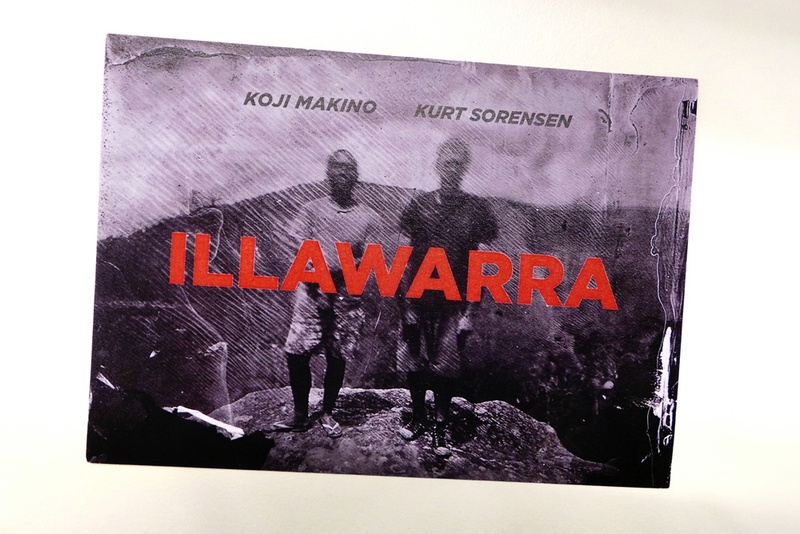 The first of many exhibitions I will be going was a joint show by Kojo Makino and Kurt Sorensen titled Illawarra. While both photographers work is about the area and its relationship with the ocean they tackle it in completely different ways. The photographs of Sorensen have been made with the Wet plate Collodion technique to photograph the important locations for the shipwrecked crew of the vessel 'Sydney Cove' in 1797 as the trekked back to civilisation. They are much like Sally Manns photographs of the Battlefields of the American Civil war in that you can feel that the land holds the history of previous events close. The photographs of Makino give a glimpse into the Australian Japanese culture present today on the Illawarra beaches, which is an interesting mix of landscapes and portraits. 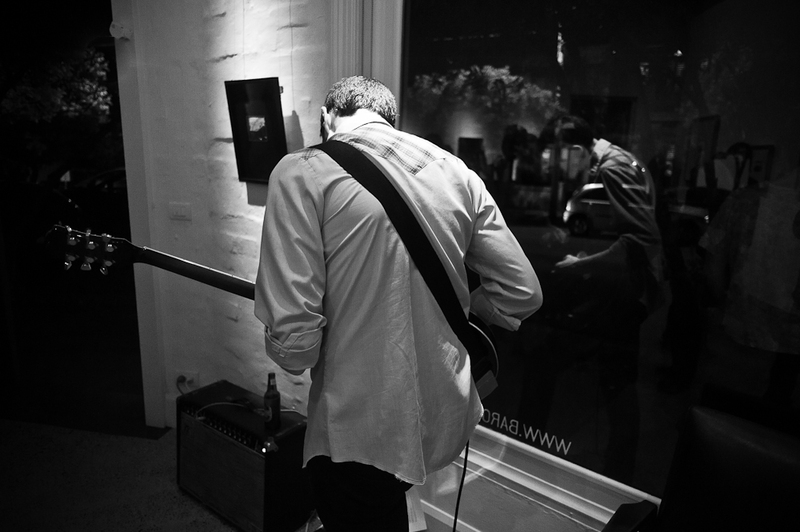 This guy was great providing some music during the night. He would just play a few cords and play it back through a loop. Wish I grabbed his name. Kurt Sorensen talking about his Wet Plate photographs.